2017 Recap and New Year’s Wishes from Cannabis Industry Leaders! You are here: Home / Industry News / 2017 Recap and New Year’s Wishes from Cannabis Industry Leaders! The cannabis industry began 2017 with a high degree of optimism but also a great deal of uncertainty. The fall of 2016 saw tremendous movement towards legalization with new initiatives in the form of full legalization in California, Nevada, Maine and Massachusetts. Four other states, Arkansas, Florida, Montana and North Dakota moved towards legalization of medical marijuana. Nevada raced towards implementing a fully regulated adult-use program and California begins the implementation of its regulated adult-use program January 1st. Legislatures in Maine and Massachusetts went through the year trying to come up with a viable adult-use program only to face setbacks delaying implementation of the voters will, and Florida continues to struggle with the same regarding its medical program. Canada moved towards full legalization under the Trudeau administration and the Canadian capital markets, encouraged by that and the opportunity to export around the world to other emerging regulated programs in Europe, South America, Central America, the Caribbean and Australia. But with all of the momentum 2016 promised to bring, the U.S. cannabis industry is still mired in the uncertainty that has come with the election of Donald Trump and his mishmash of cabinet appointees and one Jeff Sessions, a prohibitionist through and through, and his cluelessness about cannabis with views that are set in the Stone Age. An administration that has been embroiled in controversy since day one has failed to take advantage of an easy win and the support of the majority of Americans to end prohibition and right the wrongs of the War on Drugs, while creating hundreds of thousands of jobs, more federal tax revenues and providing relief to those suffering from PTSD, cancer, multiple sclerosis, muscular dystrophy, seizures and a myriad of other ailments as well as chronic pain – which in many cases contribute to the nation’s opioid crisis. Overall, the Industry has seen positive movement in 2017 in many areas. If the excitement and attendance at this past fall’s MJ Biz Conference is any indication of its future promise, the little engine that roared will continue to build momentum even though future impediments, some seen and some hidden in the murky world of the prohibitionists who want to impose their minority position on the U.S., remain. At last count, the state of cannabis legalization through year-end 2017 is reflected nicely in the following scorecard. Issues that rank high on the list of needing movement/progress in 2018 include banking, federal taxation, the opening of the U.S. capital markets – all of which are predicated on changes regarding cannabis regulation at the federal level. As we embark on 2018, CBE asked several cannabis industry pioneers and leaders to share their wishes for the industry in 2018. Below are their cannabis industry wishes for the New Year. CBE Press thanks all of you for helping us grow and serve you this year. Happy New Year 2018! Siva Enterprises “If I had a wish for the industry, I would wish for everyone to be safe. We’ve come a very long way but we didn’t get here just to get here. This year was an amazing year for the industry with monumental advancements made on multiple levels. In 2018, I think we’re going to witness an explosion of historic levels that many are simply not prepared for. At a time in an industry filled with uncertainties and multiple threats on multiple fronts, we need to really step up this year, united and together. The reality is that some companies will succeed and other companies will fail, it’s called business and our industry is no different. Unfortunately, our industry is at a point in its time where there are regulatory restrictions on pretty much every level, making it much more dangerous in addition to all the other issues normal businesses face every day. If we’re not safe, a lot of the other stuff doesn’t matter as much. So I wish for everyone to focus on what they are trying to accomplish day in and day out and change or cause to change what you’re seeking to change, but always being safe doing it. Now if you asked for a wish list, my top wishes include access to banking, regulatory protections, 280e reform, and de-scheduling, but I would also wish success for all the men and women out there grinding away, building what they’re building. Even though many of us are competitors, I think it’s better to build together today, we will have more than enough time to be competitors in the future. We are still at a point in time in the industry where there’s more than enough to go around to a point that it’s like fighting a wildfire with a cup of water. Since you can’t control it all yourself, why not have an entire industry with cups of water in their hand to first contain the fire. Then when the fire is contained, and we are a regulated industry that’s treated no different than any other regulated industry, let the competition begin. And, even more realistically, by the time we even get there, and from the business plans I see daily, most of the companies fighting today will have long had a successful exit to 2nd gen operators. “With 2018 rapidly approaching, established cannabis industry operators, like incredibles, know that COMPLIANCE is the topic of the moment! Between Colorado updating its regulations (yet again) on January 1st, California unrolling retail and cultivation licensing, a plethora of new medical markets coming online across the Nation – industry-leading cannabis companies are now faced with the task of navigating the labyrinth of overlapping, often contradictory and unnecessarily complex regulations. As an industry, it is our duty to lead by example, always err on the side of caution and to focus on systematizing compliance best practices. As I say about incredibles “We’re a compliance company first and foremost,” which means that as we expand to Nevada, Illinois, Oregon and eventually California, Arizona, Ohio and beyond… our legal, compliance, marketing and operations department need to work in tandem. Our goal is to not only streamline incredibles’ operations in each state, but also to replicate legal due diligence, labels and best-practice protocols properly to ensure every nuance of each individual state law is executed upon to the word of law. CanPay 2018 will be the year of cannabis e-commerce. “While traditional retailers have seen large portions of their revenues shift to online sales, the cannabis industry, both due to strict state-level regulations and lack of transparent financial services, has so far been left out of this consumer-driven trend. That will change in 2018 as online payments become a reality for legal cannabis businesses. Next Frontier Biosciences “For 2018, I’m excited to see the cannabis industry continue embracing the power of scientific research and development to develop safer and more effective cannabinoid based products. I expect the industry to more deeply explore the benefits of cannabinoid purification and scientific formulation in the quest for cleaner and more well-characterized products that are free from the harmful effects associated with smoking. As we educate the public about the therapeutic benefits of cannabinoids, we will see patients trading in their dangerous opioids for safer cannabinoid-based products. With these improvements, the health and wellness communities will take notice of the important work the cannabis industry is doing, allowing us to expand our reach and spread the word to more individuals about how cannabis-based products can help improve their lives. I wish for the end of racially skewed mass incarceration of non-violet drug offenders. I wish for all the people who are struggling with opioid addiction, who have been lied to by their doctors and preyed upon by big pharma, are instead encouraged to find plant-based medicine giving them the ability to finally break the chains of addiction. I wish that hemp based polymers bring an end to PET plastic bottles so we may begin to restore our oceans, and as a society demonstrate respect for the animals and their habitats that we have taken for granted. I wish that our leaders will learn to follow the will of the people. To all my friends in the industry, I wish you success and happiness this year and every other. “Once again 2017 was a whirlwind year for me with a flurry of activity including Dixie market expansion (some that is paying off – NV / some that is not – AZ) as well as various M&D deals that were presented. As with most other companies, Dixie was faced with some tough decisions due to the fact that we were undercapitalized. I have found this consistent across most cannabis brands and I am excited to see where my company is positioned for 2018 and beyond. As many have read, Dixie will be embarking on its next round of financing in 1Q ‘18 and my biggest wish is that all interested parties will see the value that currently resides within the company; moreover the long-term value that is still yet to come. The most recent strategic announcement allows for us to leverage a larger footprint through the Rose Capital “ecosystem” while likely being able to reduce overall operating costs. This bodes well for our shareholders – new and old ! Additionally in my new role with BR Brands, I will spend a good part of the coming year with cannabis brands across the country to determine which might be most accretive to the Rose “ecosystem”. I am incredibly excited to begin this next chapter in what has already been an amazing and fulfilling career. I am confident there are many deals to be explored and my desire is to meet these “brands” sooner vs later! 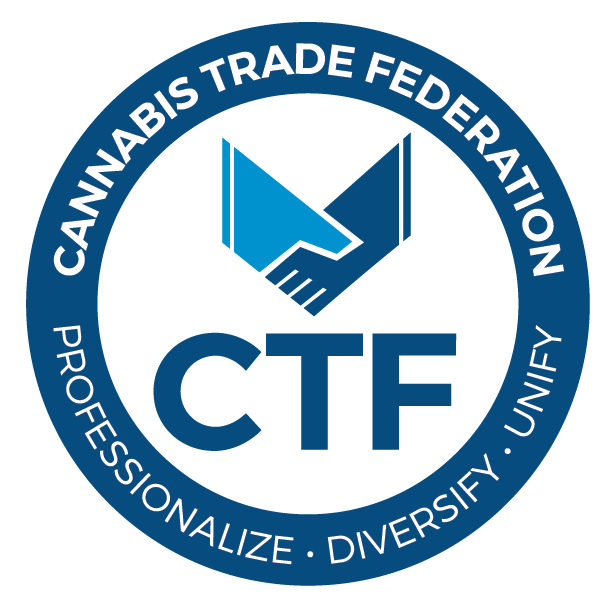 New Federalism Fund “My wishes for the industry are an equitable tax structure to any other industry in America, real commercial banking services, renewal of Rohrabacher/Blumenauer, and federal law enforcement to continue to show respect and deference to the rights of the states that have opted out of federal cannabis prohibition in some form. “Looking ahead to 2018, I am proud of the accomplishments our industry has achieved, and I look forward to further progress in the coming year. As more Americans enjoy the benefits that accompany legal cannabis – including increased tax revenue, job creation, ancillary business growth, diminishing cartel profits, and quality medicine for patients in need – the public’s support for common sense cannabis policy reform has become overwhelming. It may not be next year, but it is now possible to see legal cannabis becoming a reality for all Americans in the near future. Although we in the cannabis industry continue to face headwinds, from an unfair tax burden (280E) and banking restrictions to overly aggressive compliance regulations that prevent some entrepreneurs from entering the industry and impede the growth and successful operations of those already in business, I am confident that we will see positive developments across the board in 2018. With the support of our fellow businesses, our industry regulators, our allies in elected office, and our loyal patients and customers, there is no limit to the progress we can achieve. “With the holidays upon us and 2017 drawing to a close, it’s a great time to look back at this unforgettable year. Together we have reached new heights with cannabis legalization and advancements. I’m so very proud of the work that you and your teams are doing to make the plant a force for good in the world, both through products and by making a difference on issues that touch millions of lives. Enjoy this time with your friends and loved ones. I could not be more excited about what’s in store for next year, and for the opportunity to work with all of you to make it happen. In the states that have abandoned pot prohibition the economic, public safety and societal benefits from a tax-n-control cannabis policy continue to be self-evident, with hundreds of millions coming into local, county and state tax coffers. At least four more states choosing tax-n-control over prohibition, notably in the states of AZ and MI (voter initiatives) and RI and VT (via legislation). Once a state ends cannabis prohibition via legislation, it likely opens up a dam of a few dozen states soon following, which, ultimately forces the federal government to end its 80-year-old prohibition. The rollout of legalization in America’s biggest and most important state, California, goes well, paving the way for numerous other states to follow. States proactively file lawsuits against the federal government in a manner similar to states’ current efforts in the U.S. Supreme Court seeking to allow states to establish their own online sports betting systems. Congress passing an ‘Anti-RICO Abuse’, which is directed at stopping private citizens and businesses from trying to use the federal courts to shut down state-licensed and compliant cannabis-related businesses. “I wish regulators across the country will actively compare notes and begin to create a common set of understandings regarding industry best practices and shared observations. I wish industry operators will recommit themselves to finding the right balance of building their individual businesses while at the same time building a successful yet fragile industry. I wish the federal government will recognize the inefficiencies and hypocrisies present in the current system and will work towards rescheduling cannabis.